We have designed our curriculum with the general population in mind. It’s suite of workshops, developed over 20+ years, provide a solid foundation and the framework to build your financial independence. We help you develop strategic skills & gain insights to better handle financial markets. We take a lot of care to provide an optimal learning experience. The combination of quality content & small classes makes all the difference. Everyone has the opportunity to interact, ask questions & get clarity. There is no need to learn the hard way. Instead, use our distilled wisdom, laid out in clear, simple language. Our curriculum includes 5 courses plus an Advanced Option Mentoring Program. Whether you are a novice or a seasoned stock investor, we have a course to take you to a higher level of skill and understanding. Can’t decide between ‘Invest for Success’ and ‘Options for Success’? Take a quick read of this overview or give us a call +61.2.94889900. We are happy to have a chat to determine the best starting point for you. ‘Advanced Options Trading’ is available to ‘Options for Success’ Graduates who wish to learn how to spread trade options. 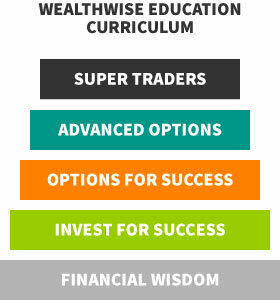 ‘Advanced Options Mentoring Program’ and our ‘Super Traders’ 7 day Conference are available to Graduates of ‘Advanced Options Trading’. David Novac’s 35+ years’ stock market experience is world-class. 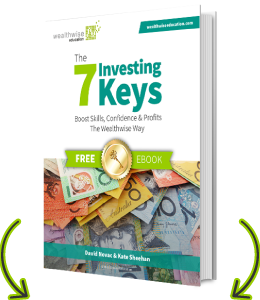 David has an international reputation and is a sought after keynote speaker on stocks and options. He is a regular guest host of Sky Business ‘Trading Day Live’. Kate Sheehan’s passion for educating others is still strong after 35+ years’ in training & communications. See more about Kate and David here.